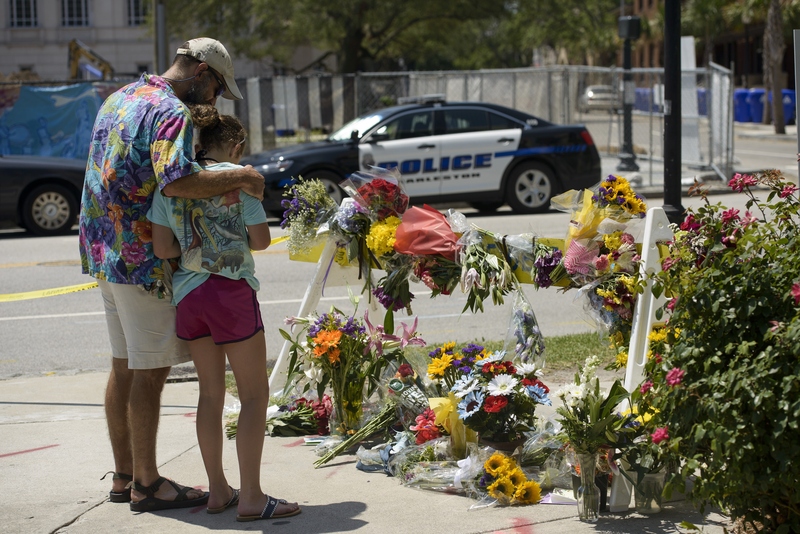 The Charleston church shooting that left at least nine people dead and multiple people injured Wednesday evening has shocked the nation and the world. Officials said a lone gunman entered Emanuel African Methodist Episcopal Church and opened fire while a prayer meeting was taking place. The historic AME church is one of the oldest and largest black churches in the country, and the suspect has been identified as a white man in his early 20s. So was the Charleston church shooting a hate crime? Update: Police confirmed Thursday that six women and three men were killed in the shooting. Three people also survived. As of early Thursday morning, the gunman was at large. He is described as a clean shaven white man with sandy blonde hair, wearing gray sweatshirt or hoodie and blue jeans. While the motive behind the shooting isn't known, officials have been clear about their preliminary opinions. When asked if the attack was racially motivated, Police Chief Gregg Mullen said, "I believe this is a hate crime" and said the shooting would be investigated as a hate crime. While that doesn't impact how police technique or methods during the investigation, the nature of the crime would impact how the case is prosecuted should it go to trial. Long-time Charleston Mayor Joe Riley told reporters that only a "hateful person" could commit such a "dastardly act" of opening fire at a house of worship. It's obvious. You've got a white guy coming into an African American church. That's choice. This is an opportunity for us all to unite because of a significant tragedy that has occurred and what we need right now is everybody to come together and to pray for these families. ... I understand people might be angry. I understand they might be upset ... but what we need is to come together and help us. A prayer circle will take place at noon in Charleston. Reverend Al Sharpton is expected to attend. Anyone with information is encouraged to contact police at 843-743-7200.